HealthShare has a five-member Board of Directors comprising the Chief Executive of each of the five Midland District Health Boards. 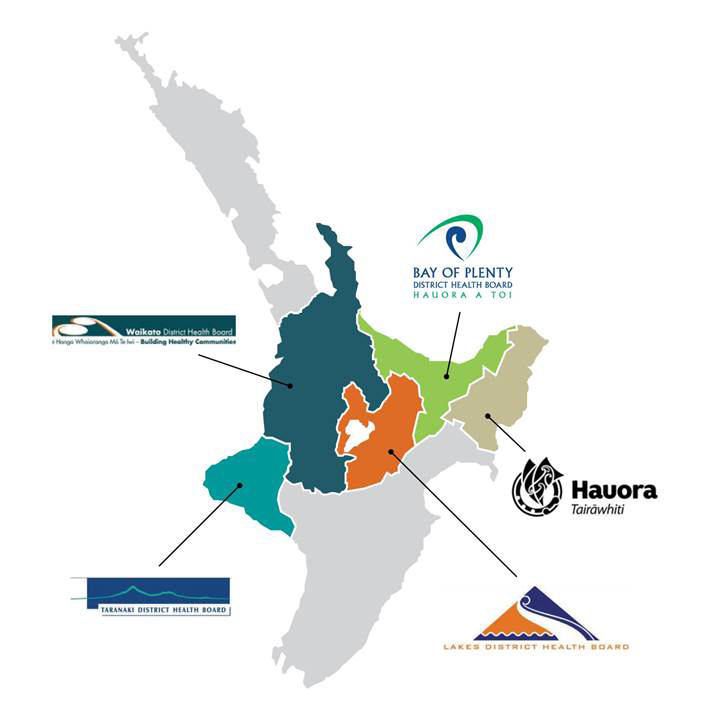 Each Midland DHB is an equal shareholder in HealthShare. Welcome to HealthShare. HealthShare enables health professionals and organisations in the Midland region to do what they do best: provide people living in the Midland region with high quality healthcare. It does this through collaborative partnerships, leading and facilitating change, and building a future focused organisation. 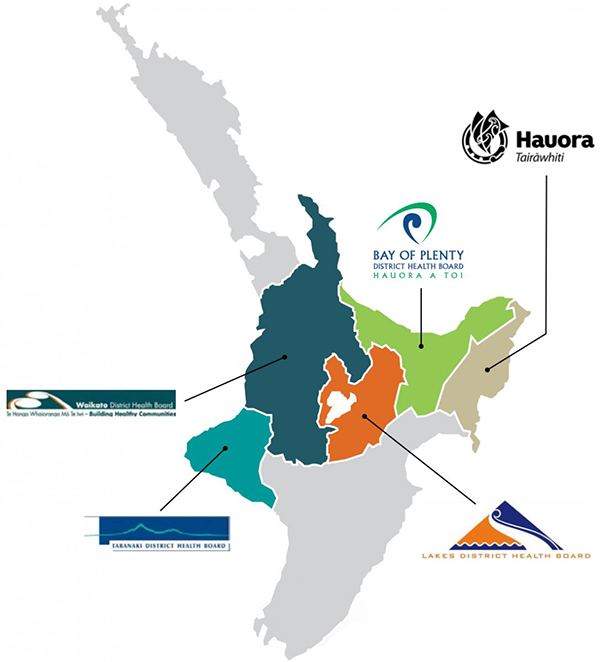 HealthShare supports the region’s five DHBs – Bay of Plenty, Lakes, Hauora Tairāwhiti, Taranaki and Waikato – to work together to develop more innovative and efficient health services. This ensures the Midland region is best placed to respond to the changes in technology and demographics likely to play a significant role in the future of healthcare. You can find out more about HealthShare’s work – what we do, why and how we do it – on the pages of this website. Exciting News. HealthShare would like to congratulate the Midland Trauma System on achieving Level 1 Trauma Verification - a first for New Zealand. Click on this link to read the full article. is a future focused organisation with an interest in innovation and sector change.